Da quanto tempo mancava questa rubrica dedicata ad un outfit? 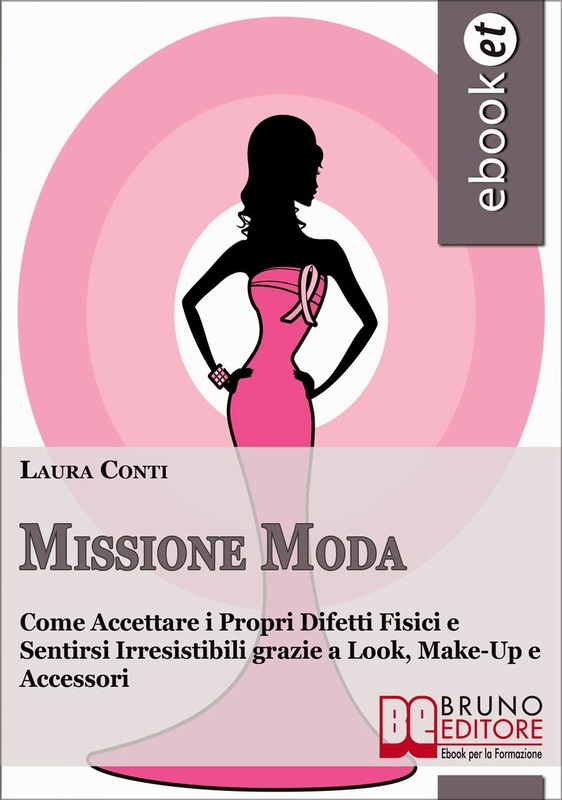 Protagonista la mia gonna anni '50 firmata DRESSLINK! 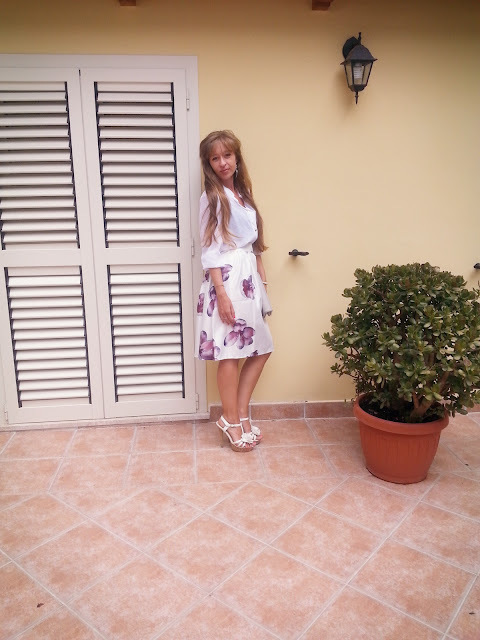 Adoro questa MIDI SKIRT, e ne cercavo una simile da una vita. Sono contentissima di avere questo capo nel mio armadio, perché ho constatato che è di ottima qualità. Avendo l'elastico nella parte dietro della vita, è adatta a tutti i fisici, pur essendo taglia unica. L'ho abbinata con sandalo bianco e camicia bianca. Direi che non è stato semplice scegliere, poiché sul sito ci sono davvero tanti capi fantastici, ma sono soddisfatta della mia scelta. Il colore bianco abbinato alla stampa lilla dei fiori la rendono elegante e delicata. How long this column dedicated to outfits missed on my blog? And what better event of the long-awaited arrival of the 50s skirt signed DRESSLINK?! 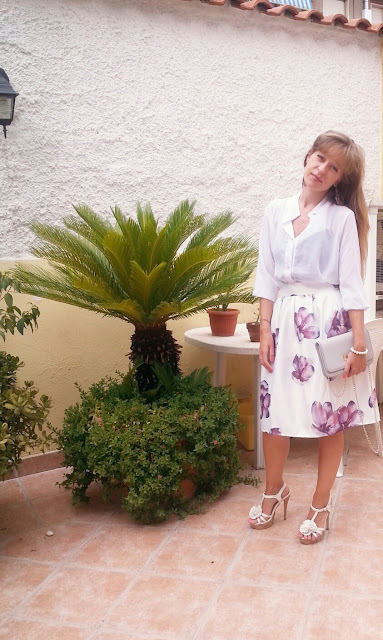 I love this MIDI SKIRT, and I was looking for it!!! I'm very happy to have this item in my closet because I have found that is made of excellent quality. Having the elastic band in the back of waist, it is suitable for all physical shapes, although one size fits all. I combined it with a white sandal and white shirt. 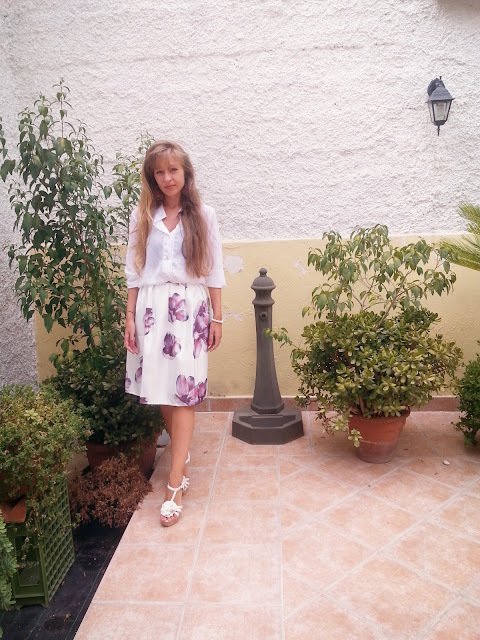 I would say that it was not easy to choose, because on the site there are so many great clothes, but I am satisfied about my choice. 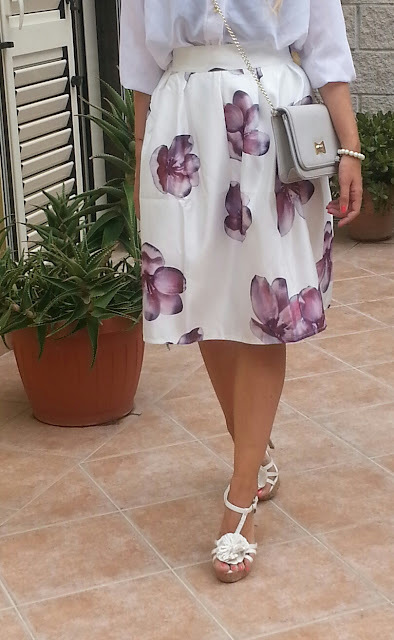 The white color matched with the lilac flowers make it elegant and delicate. Thank you for visiting my blog. I love your blog a lot also and follow your posts. You have a beautiful photos and great posts. Pls, keep in touch, dear. Hai fatto un ottimo acquisto, la gonna è veramente bella e chic, come del resto tutto l'outfit! Troppo carino questo outfit, lo trovo molto romantico!! Look maravilhoso amei a saia, tenha uma semana abençoada. So beautiful. I love the skirt. Kisses! Thank you very much. No doubt that this kind of posts serve to know better who's on the other side. Thus, with this post I want to essentially so that people get to know me better and to understand who the real Miguel's blog. Always with the utmost honesty and without masks. Laura sei splendida, e questo look è bellissimo. 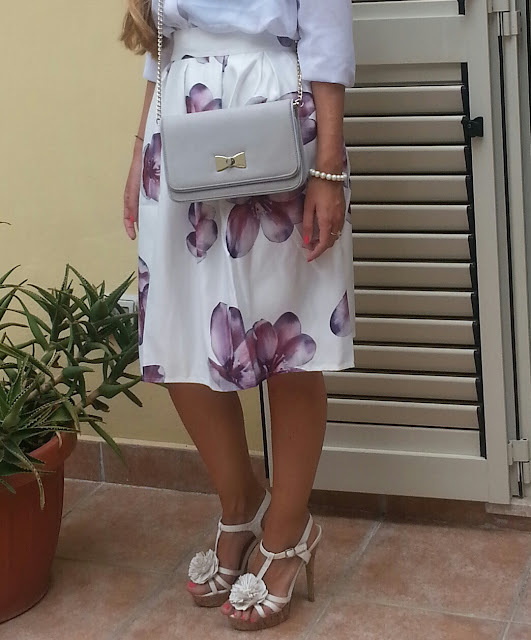 Adoro la gonna e l'hai resa ancora più chic abbinandola con un'intramontabile e sempre impeccabile camicia bianca. Per me è perfezione assoluta. E' bellissima quella gonna Lauretta! Beautiful Outfit, you look gorgeous! i love the Heels!